Thousands of migrants and refugees move ahead after police roadblock in southern Mexico brought journey to standstill. Arriaga, Mexico - Thousands of Honduran migrants and refugees in southern Mexico are continuing their journey north after a two-hour standoff with police. Mexican federal police in riot gear blocked the highway about 10km from Arriaga, Chiapas state, in the early hours of Saturday. More than 7,000 people, most of them Hondurans, had set out shortly after 3am local time (08:00 GMT) from Arriaga, aiming to walk 43km and reach Oaxaca state. As news of the roadblock spread, human rights staff travelling alongside the migrants and refugees moved ahead to hold talks with the police. Federal police agents told the human rights workers that had received orders to prevent the group from proceeding. The government has already offered to give the migrants what they wanted, the commanding offer said. Mexican President Enrique Pena Nieto on Friday announced an initiative for the migrants and refugees, offering to provide temporary jobs, medical attention and schooling for children. But in an assembly, the group decided to push ahead with its plan to reach Oaxaca and then request documentation in the capital, Mexico City. When they arrived at the roadblock, they engaged in a peaceful sit-in on the highway, refusing to leave until they were permitted to advance. 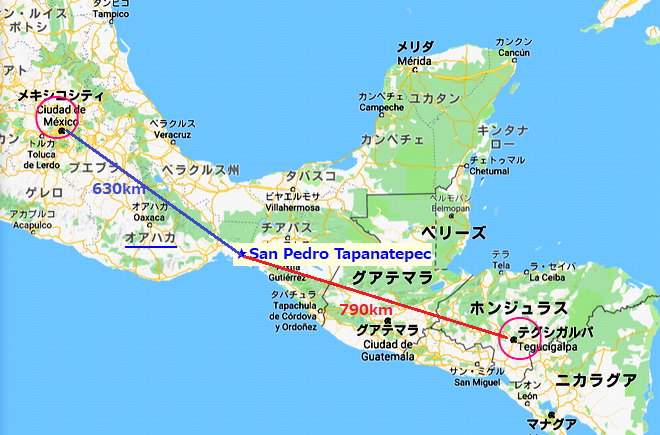 At about 8am local time (13:00 GMT), police received orders to clear the road, allowing the migrants and refugees to continue their journey, with more than 30km left to go before reaching San Pedro Tapanatepec, Oaxaca. Dialogue between the government and the group of migrants and refugees is expected to continue. "We are not harming anyone," Billy Noe Martinez told Al Jazeera. The 34-year-old left his home in Tegucigalpa, the capital of Honduras, and travelled into Guatemala and then Mexico with the initial wave of migrants and refugees, dubbed a migrant caravan. "We want a better future for our children," added Martinez. The current exodus from Honduras began two weeks ago, when more than 1,000 people set out for the United States, seeking safety in numbers. 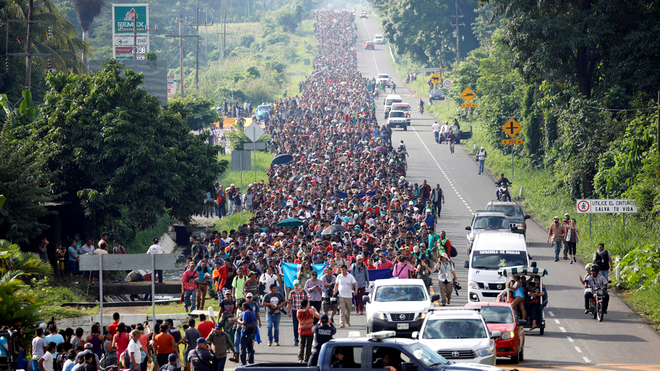 By the time the group crossed into Mexico, they numbered more than 5,000 and the crowd continues to grow as smaller groups that departed later join them. Most migrants and refugees are fleeing violence and unemployment in Honduras, a country with one of the highest per capita homicide rates in the world. More than two thirds of Hondurans live in poverty, according to the World Bank. For many of those fleeing Honduras, the harsh conditions along the route north pale in comparison to conditions at home. Most caravan participants have told Al Jazeera they are seeking better lives for themselves but especially their children, either by taking them to safety or by seeking work to be able to support their families back home. Angelo Coto is one of them. 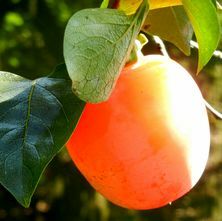 The 36-year-old farmer from El Progreso, in northwestern Honduras, used to grow corn, beans, watermelon and cucumbers. But he does not own any land and work is too unreliable to support his two sons, aged three and 10. "Some days there is work, some days there is not," he told Al Jazeera, adding that his hope is to find a job in order to provide for his young family - whether that is in the US or in Mexico. Coto said he knows the Mexican government is pressuring the migrants and refugees to stay in the country, but he hopes the caravan will continue its journey towards the US. "If it keeps going, I'll go. If not, I'll stay," he said. 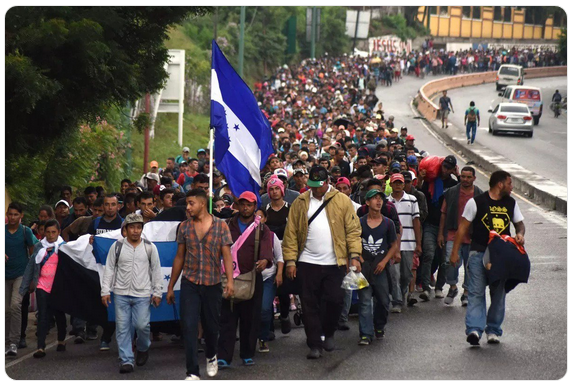 TEHRAN (FNA)- A group of around 300 migrants left the El Salvador capital on foot on Sunday heading for the border with Guatemala in the hope of eventually realizing the "American dream" and reaching the United States. The group, made up mostly of men, has been inspired by the much larger Honduran caravan already in Mexico and striving to reach the US, Daily Sabah reported. "We're a little more than 300 people, but as we walk we hope more compatriots will join us," Hernan Quinteros, a 48-year-old retired army sergeant, told AFP. The new caravan ignored warnings from El Salvador's government on Friday not to put their lives in danger. 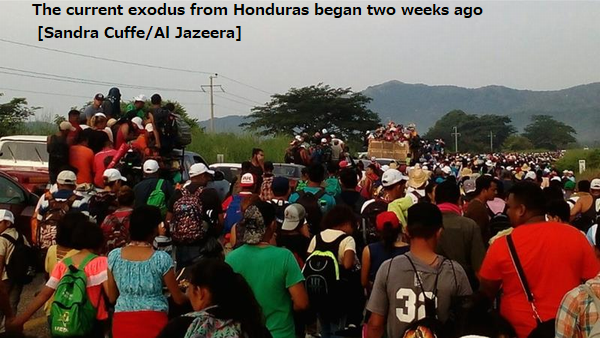 It's more than two weeks since a caravan of Honduran migrants set off in search of a better life, passing through Guatemala and now into Mexico, with its numbers swelling up to 7,000 according to UN estimates. US President Donald Trump has threatened to deploy the military to halt them at the border with Mexico. But while Quinteros, who took part in El Salvador's 1980-92 civil war, stated that it was "painful" to leave his three children behind, he said the United States is "the country of opportunities". "A young person spends a year hoping to find work that never arrives and that's why I'm going after the American dream," 24-year-old Pablo Figueroa said. Figueroa lives off the tips he earns singing in restaurants but added that he wants to find permanent employment that would allow him to "build a project for life". Among the few women in the group is 38-year-old single mother Lorena Cruz, who left behind children aged 16, 12 and 10. "The caravan is presenting an opportunity for me (to emigrate)," Cruz, who confessed that it would cost a lot to pay people smugglers to get her into the US, stated. As it left San Salvador, the group was accompanied by police who would "guarantee safety" all the way to the Guatemala border, one officer told AFP. Around 2.5 million Salvadorans live in the US and last year sent home more than $5 billion in remittances, making up almost 16 percent of the Central American country's gross domestic product. Meanwhile, more than a hundred Central American migrants have forced their way through a customs gate at the Guatemalan border town of Tecun Uman to request passage into Mexico. Cesar Quinonez is a volunteer firefighter in Tecun Uman and he told The Associated Press by phone that several Guatemalan police officers and migrants were injured as the group kicked and pushed its way through the gate on the Guatemalan side of the border. He announced that several people received medical treatment for exposure to tear gas fired by police. A larger group of thousands of Central American migrants has been winding its way through Southern Mexico with the goal of reaching the US border. Mexico has offered them asylum if they remain in the Southern states of Chiapas and Oaxaca.